Great strides have been made in the fight to end malaria. Campaigns to increase the availability and proper use of mosquito nets have been exceptionally successful in protecting entire families from this deadly disease. 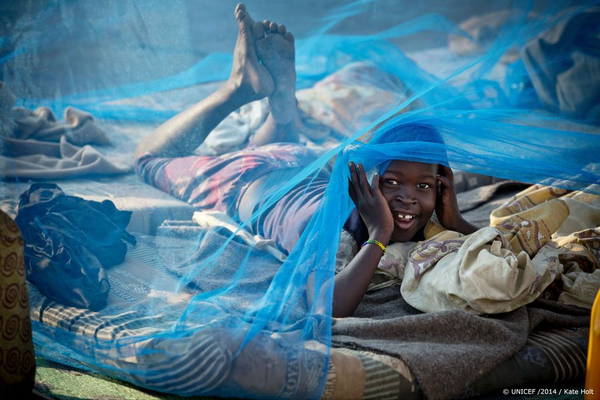 A $10 mosquito net can make the difference between a life of chronic debilitating illness and even death or a healthy childhood of smiles and growth. That seems like a “no-brainer” to me. This entry was posted in Facts & Statistics, Hunger & Poverty, News & Views, Photos and tagged campaigns, childhood, children, chronic illness, disease, families, health, Imagine No Malaria, mosquito nets, no-brainer, nothing but nets on January 13, 2016 by Ray Buchanan.